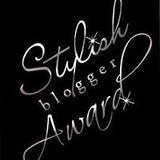 Amera at Maroc Mamma recently informed me she’d given Rambling Spoon a Stylish Blogger Award. I wasn’t familiar with her blog at that point (and it seems she’s doing a bit of a redesign, so you might have to wait a bit before it’s up and running), but now I’m sitting here typing away, my stomach growling and my brain thinking hard about Moroccan food for dinner. I have a good piece of chicken in the fridge…. Thank you, Maroc Mamma! I’ll be cooking your recipes. 1. My feet are ALWAYS cold. Like right now. 2. I’m a runner, and I started to train for another marathon. But my hips hurt, and I’m thinking I might just do the half. Plus, it’s crazy hard to get out the door in all this cold and snow. 3. I cannot sing. Not a bit. But it’s Asian tradition, and inevitably in our travels, I’m asked to take part in karaoke or guitar-strumming and singing. I try my hardest to weasel my way out of it. 4. I’m a cat person. 5. Ever since a Cambodian dog bit me several years ago and I had to get rabies shots, I’m VERY leery of loose dogs anywhere. Especially while running. Even in happy Boulder. 6. Growing up, I also had an overblown fear of spiders. I’ve mostly grown out of that, but I still don’t like to eat them. 7. Sometimes, when I don’t feel like cooking, I’ll make a big bowl of popcorn and top it with melted butter, tamari, shredded cheese, sautéed garlic, smoked Spanish paprika and a pinch of turmeric. That + salad + movie = dinner. 3. Award fifteen recently discovered bloggers. 1. Nourishing the Planet. Fantastically important work going on here. 2. The Perennial Plate. Real food, from the source, in video. 3. Plate of Wander. Just introduced to this one, and I’m enjoying it immensely: an expat returns to America. 5. Tasting Cultures. I love her lens on the world, especially her views on spices. 6. Barfblog. Everything you ever wanted to know about food poisoning. 7. Big Picture Agriculture. Informative site by a lovely woman I had the pleasure of meeting late last year. 8. What’s Up With Food? It’s a question we’re all asking these days. 9. Wasted Food. How to be a more conscientious eater. And that’s where I’ll leave things for now. Just nine. There are of course countless other valuable blogs out there, but I’m feeling at the moment that less is more. Have fun exploring—these sites are full of great reads and things we all should know more about. 4. Contact these bloggers let them know about this award. Remember that Moroccan restaurant north of Wat Phnom we went to a few times in 98? They had couscous in funky clay-hat-like dishes. I think of that joint all the time. Sad it closed. And I’m making popcorn now. Hmm. So many interesting reads. Thanks for sharing them. And thank you for reading, Caffettiera! Jerry, yes. Actually, we went there a lot. I remember those of us who worked on the Daily’s Weekend Edition when it started would finish on Friday night and head to that restaurant. I’d eat nothing or very little for lunch so I would have a huge appetite that night. I didn’t know you thought about that place so often??? Amazing what I learn about my husband through blogging!